This impressive, affordable headset works with Sennheiser's hallmark sound. The mono, SC 30 USB CTRL belongs to the Culture range for use with PC or Mac, softphonse, Skype and video conferencing or voice recognition/dictation systems. A revolving microphone enables the gadget to be worn over both ears. Built-in controls enable folks to answer/end/reject a phone call, regulate volume, silence the microphone and redial outbound calls with the tap of a button. 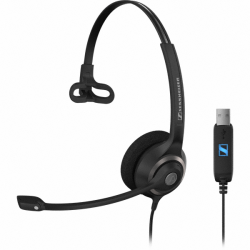 Why do call centres prefer the Sennheiser SC 30 USB? Great question! Sennheiser's high-end, expert-sound headsets outshine other entry-level equipment. The economical SC 30 USB offers super-soft, sizable acoustic foam ear cups and a sound-canceling microphone that stops any undesirable audio form disrupting phone calls. A versatile boom provides excellent placement, and its wideband microphone guarantees the most ideal voice clarity when using the SC 30 USB with softphones. Sennheiser's signature Activeguard innovation also safeguards the user's hearing from unexpected loud noises and acoustic shock. 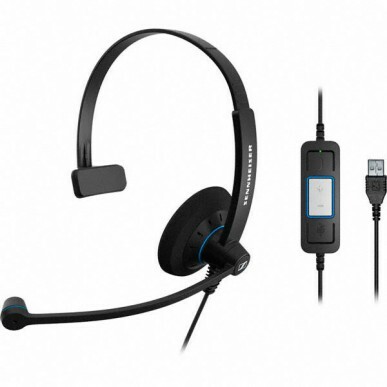 These durable SC30 USB CTRL headsets are fantastic for business switching over to UC settings, and all this includes a two-year manufacturer's warranty. Why do users fuss about corded headsets? 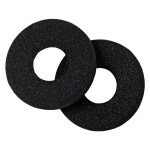 * A few individuals favour leatherette ear cushions. * Folks are linked to their communication devices via cable. * Wires lie over desks and obstruct work. * Cables get squashed and knotted under office chairs. The Sennheiser SC 30 USB CTRL is an impressive, low-cost solution with superior sound. It's sturdy, light, slim and suitable for call centres and offices that demand USB hook-ups on their headset devices. * Prolonged call users: the SC 60 USB CTRL. * Loud work environments: the binaural Sennheiser may be a better option to increase call concentration. * Microsoft Lync users: the SC 230 USB or SC 230 USB CTRL with Dragon recognition. 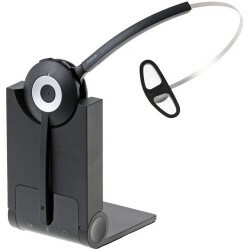 * Other tight budget brands: the Plantronics Blackwire C510 or C310. * Extra productivity gained from wireless solutions: the Jabra Pro 930 , DW Office USB and DW Pro 1 USB . 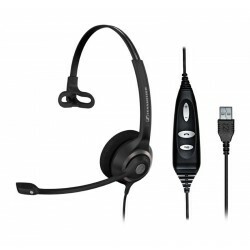 SC 30 USB CTRL is a deployment-friendly, single-sided wideband headset compatible with global providers of Uniﬁed Communications solutions such as Avaya, Cisco and IBM. With integrated call control unit and USB connector, the SC 30 USB CTRL offers great functionality and convenience when connected to a UC solution. SC 30 USB CTRL is speciﬁcally designed for the Uniﬁed Communications market, where Sennheiser HD voice clarity and maximum call-handling ﬂexibility can make a genuine difference to productivity.